Strategic solutions crafted, for different time horizons – short, medium, long-term. These were aimed at bolstering the installation and early exploration phase, strategically relooking partnerships & future technology transformation. Tata Trusts, through its Project Druv aims to increase access to informative internet content for the rural underserved populations. Druv is a set-top box that enables rural users to connect to internet via TV screens and streams informative content on hygiene, nutrition, child care, women health, beauty etc. At the time, Druv was moderately successful, with concerns like low sustained usage, misperception as children’s device and competition from the mobile internet; hence the team wished to figure strategic future directions for Druv. Sustained usage and adoption of a solution depend on the end-to-end experience of the service delivered to the user. To understand the as-is user experience, TinkerLabs conducted empathy research (mix of ethnographic methods and participatory design with users, community members, internal stakeholders etc.) 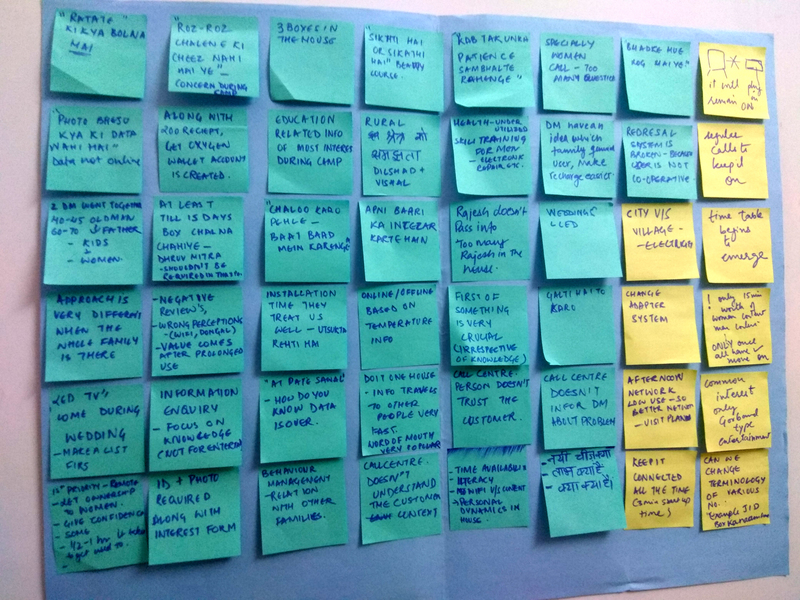 and mapped the aspects of content and technology to user needs at individual, family & society level. The most critical parts of the service were identified and solutions which were suited to users’ ecosystem were created. Research Design: To prepare for the on-ground research TinkerLabs team interviewed some of the implementation partners to understand their perspective on the key challenges faced. Based on the inputs given by the internal stakeholders a research plan was created using a mix of ethnographic methods and participatory design to gain empathy. 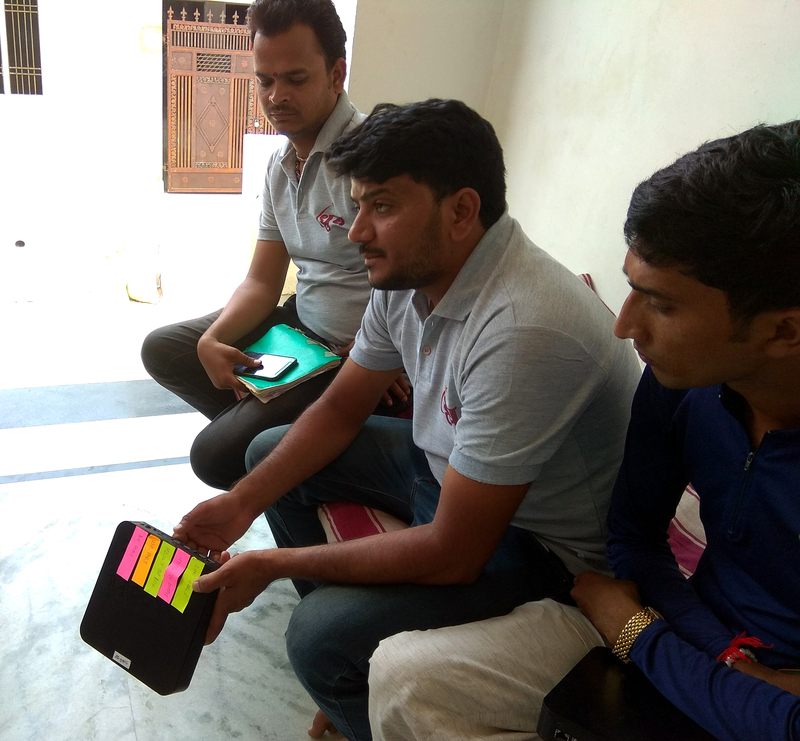 Cultural Immersions: We immersed ourselves in various villages in rural Rajasthan and met a variety of stakeholders: Members of the community (users of Druv, dropouts and non-users), Druv Installers ‘Druv Mitras’, NGO Partners etc. Once the immersion was done, we mapped the complete user journey of the Druv box user and identified that installation and early exploration of the Druv box stage were critical to long-term adoption. Some of the key pain areas that emerged were that people associated an internet-based product as something mysterious and complex. Users felt shy or uncomfortable talking to the call centre representative and relied heavily on ‘Druv Mitra’ for even everyday queries. Women especially felt under confident and anxious about using the Druv box, worried that they are ‘messing up the set-top box’ settings, or that it is best meant for children and not for them. However, there were some houses who had overcome their initial resistance around technology and had found extreme value in Druv. The interesting pattern we saw with these houses was that the family head (man of the family) was supportive of the women of the house and group interaction of the family was more v/s isolated interactions. We also explored some ideas to leverage local success stories to encourage sticky usage of Druv in more families, like identifying Druv Champions in local meetups and creating an Exclusive Druv Club to create an aspirational quotient. Similarly, we also created some ideas to offer DIY support to users through a calendar which worked as a pictorial manual as well as a testimonial poster. 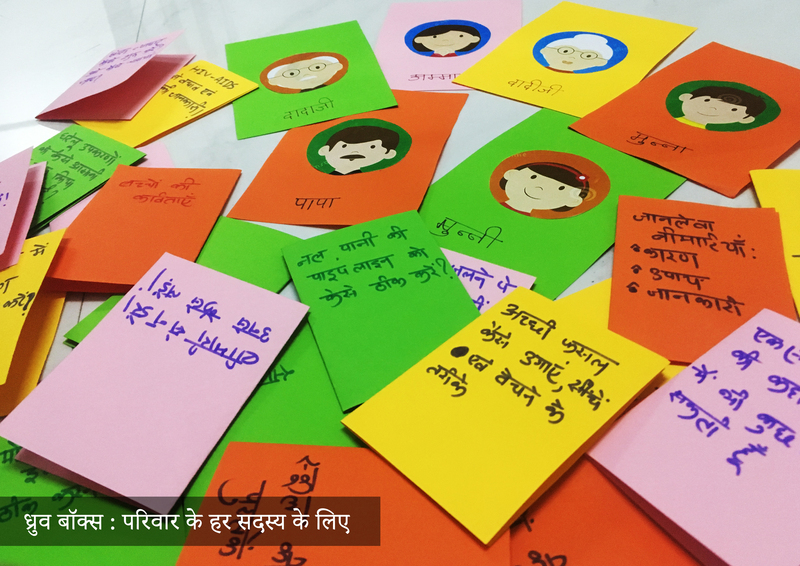 A set of games were created which served the dual purpose of familiarizing the user with the functionalities and shared value of the content for every member of the family. We ran a co-creation session with Druv Mitras. 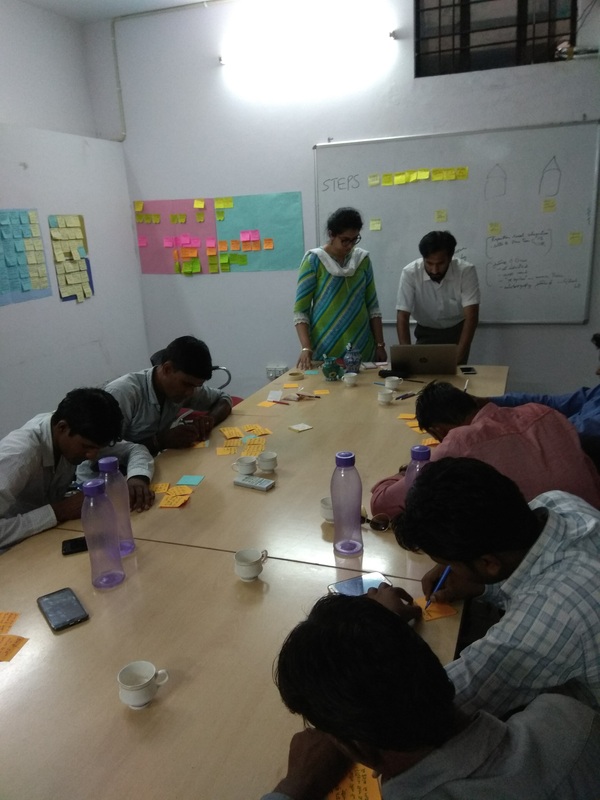 Translating ideation techniques like ‘constraint toggle’ or ‘assume superpowers’ & ‘creative remix’ in Hindi, was not only fun but brought out some really interesting ideas too.